Getting a starter in the Melbourne Cup is not cheap. The initial nomination fee is $1650 (or $5500 for late nominations), followed by the first declarations fee of $2640, the second declarations fee of $4620 and then the final declarations fee of $49,500. The Melbourne Cup was first run in 1861 over two miles (3219m). It was shortened to 3200m (1.98 miles) in 1972 when Australia adopted the metric system. The race record of 3min 16.3sec was set by 1990 winner Kingston Rule. The slowest winning times in the Cup were recorded by inaugural winner Archer in 1861 and Lantern in 1864, with both covering the trip in 3:52. There were 17 runners in the first Melbourne Cup on November 7, 1861, for a winner-takes-all prize of about 700 pounds and a gold watch. The purse for year's Melbourne Cup is $6.2 million, with $3.6 million going to the winning connections. Only one horse has won the Cup three times - Makybe Diva in 2003, '04 and '05. Four horses have won it twice - Think Big in 1974 and '75, Rain Lover in 1968 and '69, Peter Pan in 1932 and '34, and Archer in 1861 and '62. Jockeys Bobby Lewis and Harry White hold the record for the most Cup wins, with four. Lewis's came in 1902, '15, '19 and '27, and White's in 1974, '75, '78 and '79. Bart Cummings is out on his own with 12 Melbourne Cup wins as a trainer, ahead of Etienne de Mestre and Lee Freedman with five. The longest winning margin in the Cup was eight lengths, by Archer in 1862 and Rain Lover in 1968. The largest attendance for the Cup was in 2003, with 122,737 people seeing Makybe Diva win the first of her three Melbourne Cups. The heaviest weight carried by a Melbourne Cup winner was 66kg (10st, 5lb), by Carbine in 1890. The lowest was 33.6kg by Banker in 1863. The shortest priced winner of the Melbourne Cup was Phar Lap, who prevailed at the odds of 11-8 on. Only 35 of 153 favourites (23%) have won the Melbourne Cup, with 72 of them finishing in the first three. Entires have the best record in the Cup, winning it 66 times. Geldings have prevailed 52 times, colts 21, mares 13 and fillies three. The longest priced Cup winners in the past 20 years were Prinze Of Penzance (100-1) in 2015, Viewed (40-1) in 2008 and Tawrrific in 1989 (30-1). The largest field to tackle the Cup was 39 in 1890, and the smallest seven in 1863. Billy and Peter Cook are the only father-son combination to win the Melbourne Cup, with Billy successful on Skipton in 1941 and Rainbird in 1945, and Peter saluting on Just A Dash in 1981. Since the barrier stalls were first used in the Cup in 1924, no horse has won the race from gate 18. New Zealand's Sheila Laxon was the first woman trainer to officially win the Melbourne Cup, taking out the race with Ethereal in 2001. The only female jockey to win the Cup is Michelle Payne, who steered Prince Of Penzance to victory last year at the odds of 100-1. The youngest jockey to win the Cup was Peter St Albans in 1876 on Briseis. His age was recorded as 13, but he was in fact 12 years, 11 months and 23 days old. Shadow King holds the record for most starts in the Cup. He started six times between 1929 and 1935 for two seconds, two thirds, a fourth and a sixth. The only mares to win both the Caulfield and Melbourne Cups are Rivette (1939), Let's Elope (1991) and Ethereal (2001). Eleven horses have won the Caulfield Cup and Melbourne Cup in the same year: 1906 Poseidon, 1937 The Trump, 1939 Rivette, 1954 Rising Fast, 1962 Even Stevens, 1966 Galilee, 1982 Gurner's Lane, 1991 Let's Elope, 1995 Doriemus, 1997 Might And Power and 2001 Ethereal. Irish stayers have shown their mettle in the Cup with trainer Dermot Weld shocking the locals with Vintage Crop in 1993 and Media Puzzle in 2002. Late Australian media mogul Kerry Packer enjoyed one of the biggest returns on the Melbourne Cup, reportedly betting $1 million on Might And Power at about 6-1 when the gelding "fell in” against Doriemus in 1997. Not even the First World War or the Second World War could stop the Melbourne Cup, which has been run every year since 1861. The oldest winners of the Melbourne Cup were eight-year-old Toryboy in 1865 and Catalogue in 1938. The first Tuesday in November, the day of the Cup, was declared a public holiday in Victoria in 1877 and remains so today. The winner of the 1890 Cup, Carbine, proved to be a super sire. 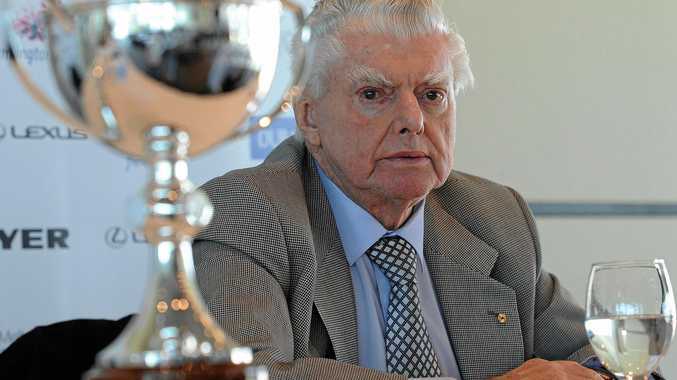 More than 30 descendants have won the Cup, including Phar Lap and Makybe Diva. There have been no dead heats for first in the Cup, but Topical and Gaine Carrington (1933) and Lahar and Zazabelle (1999) tied for third. 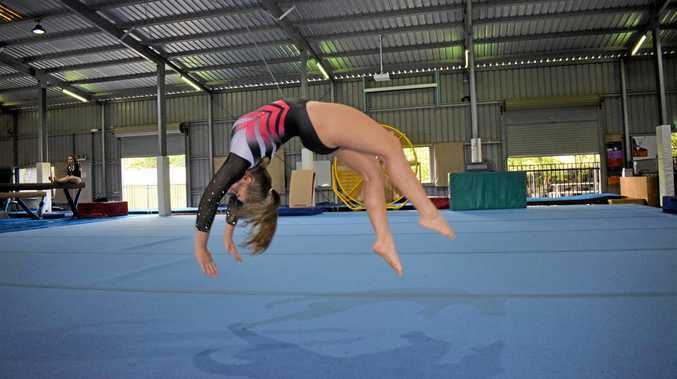 News Gympie gymnast Lilly Carswell will be one of 1494 athletes from across the country. News Three sightings have been reported this year.